Moving home is widely considered one of the top 5 causes of stress, ranking alongside the death of a loved one, divorce, a major illness and loss of your job. Moving doesn’t need to be stressful, especially if you take the time to plan your move properly. One of the most important decisions in planning a move is choosing the right removalist. Don’t judge a book by its cover. Just because the company has a nice looking website with images of muscular male models, this doesn’t mean those are the movers will turn up on the day. Often the best removal companies are so busy servicing their customers, they don’t have the need to spend huge amounts of money on their website and marketing. It is often the small family-run business that will do the best job. Read previous customer reviews. We repeat: read reviews. If the company has been around for a while, there should definitely be some reviews that you can read to get an idea of their professionalism. If there are no reviews, either they are unheard of, or have just setup shop – probably a company you want to avoid doing business with. Remember, when reading reviews, they shouldn’t always be positive. People are a lot more likely to post negative reviews than they are positive so it is only natural there are some negative reviews amongst the good ones. If there are no negative reviews, it could be a sign that the reviews a fake. No removal company keeps all their clients happy 100% of the time, as the business of moving is more of an art form and a skill than a science. You can generally find reviews on the company’s Facebook page, their Google plus account or on True Local. Avoid the cheapest removalist. Look for a cost-effective service – be very careful to not choose the cheapest removalist you can find. Often they employ university students or backpackers with little experience. They also could have very small trucks which means a second trip may be required. In addition, they probably don’t have the right insurances so if something goes wrong, you’re on your own. Look for a company that is middle of the road in terms of pricing. You don’t need to pay for a white glove service, but you also don’t want to choose the backyard movers that may not even turn up on the day. Companies that compete solely on price clearly cut corners in others areas. Avoid comparison sites and Gumtree. Most comparison websites sell their leads to the highest bidder with very little checks of quality control over the actual movers. In addition, you need to avoid using websites like Gumtree that have zero screening requirements for people to post an ad. Anyone can go hire a truck for a day and put an ad on gumtree. Remember, these movers are going to be in and out of your house, if you choose someone that no one has ever heard of, you risk damage and possibly put yourself and your family in danger. Ask plenty questions before booking. When scrolling through the internet, it is hard to know who you are dealing with by just looking at a website. The best thing to do is pick up the phone and call the removal company and have a chat with the office. Ask a bunch of questions to make sure the person on the phone knows what they are talking about. Questions such as how long do they estimate the move will take, do they have insurance, what size truck will they be sending, are there any hidden charges, etc. are all important questions and will give you an indication that the company is experienced. Remember, for the sake of a little extra money, it is often best to take out your own insurance to ensure there is proper coverage of your goods. Most removals companies only fully cover damage to common property under Public Liability Insurance. Disclaimer: This article was written by Brett Epstein, the director of a Sydney removalist Company, Hire A Mover. Your first home purchase is stressful not just because you are signing away potentially 30 years of your life to paying on a loan, but because there’s a lot of work involved to make this move safe, secure, and successful. Find the home of your dreams, purchase it, and then plan to make your move using these tools. An essential first step prior to a move is to establish a household budget that identifies key expenses, savings goals, and home improvement projects. Doing this now ensures you make payments on time, keep debt under control, and have savings put aside to ensure you can continue to pay your mortgage over the long term. To make budgeting easier, use a site such as Mint.com that provides all-in-one bill management, budgeting, and financial tools to boost credit. During a move, your personal information is at risk. This risk is heightened because you are applying for loans and updating financial information for each of your credit cards, personal loans, and investment accounts. The investment in LifeLock can be an ideal way to minimize this risk. It allows you to combat identity theft by putting measures in place that prevent unwanted invasions or use of your personal, financial information. Schedule your move during the “off-peak” season of September through April, if possible, to get moving services for less expense and more flexible pickup and delivery times, reports the American Moving & Storage Association. Choose an AMSA member company to handle your move for you, rather than doing it yourself, since this ensures you are working with professionals screened by the association. This includes Better Business Bureau and state and federal background checks. These operators must maintain an honest business and adhere to the code of ethics for the association as well. For interstate moves, ensure the company’s USDOT number indicates the company holds an appropriate license. Ensure the company’s license indicates they can move you between states and is not a state-only license. Once you’ve moved in, don’t let down your guard. Keep up with household chores and maintenance tasks to ensure your home maintains its value and it continues to be a safe, secure environment. For those who enjoy software tools, HomeZada is the ideal investment. With it, you can automate the home maintenance schedule to ensure you continuously are on top of necessary chores and tasks. Not only can this help you keep your home in good shape, but it can help you track investments for tax write-offs later, boost your home’s value, and aid in minimizing replacement costs. Being a homeowner is a new experience, but with the right tools and resources, you can easily manage the entire process in an efficient, safe, and even affordable manner. A combination door lock is a secure and convenient way to protect your home or workplace. There are many benefits to choosing this type of locking system over other systems that require keys to gain entry. There are two different kinds of keyless locking systems that people can choose: an electronic system and the other is a push button system. While electronic systems provide a different level of sophistication, they can be much more expensive and require a more complicated installation. Choosing a push button system will save you money and time. The level of security they provide is just as high as what you would get using an electronic system. A push button locking system provides extra security at home or work, for outside doors or inside doors. There are models available to fit any type of door, from wooden framed doors, 40mm-80mm thick or thinner, and even for glass panel doors. There is a total of thirteen numbers and letters on the keypad, allowing more than 10,000 possible seven-digit combinations to be set. The lock comes pre-coded by the manufacturer, but there are easy instructions which allow you to reset the code anytime. Two keys are also provided so that in case of emergencies or if you forget your code you will have the option to override the system by using the key. These locks also come with a drilling template so that you can easily install them on your own. There are many benefits to gain from choosing this type of locking system for your inside or outside doors. It will fit on any kind of door whether hung on the left or right. One of the best features is that there is no power supply needed to use this system, which makes installation and upkeep very simple. It also means that the lock will work to secure and protect your home or workplace whether or not the power has gone out. The possible 10,000-plus combinations mean that you can easily reset the combination for the lock as many times as you wish. This makes it the perfect system for the workplace because when an employee leaves, you won’t have to worry about changing the entire lock and reissuing new keys. You can simply update the combination immediately and be assured that your business is still protected. The easy installation also makes this system the perfect choice for doors inside of your home or workplace. You can keep certain rooms containing valuables or secure information protected all the time without worrying about keeping track of keys. Choose a convenient system that has been successfully protecting important businesses such as banks, office buildings, health services, sports centres, and more. Throw out your keychain and secure any door you wish. Never before has it been easier to find the right tool for the job. The Internet has removed all barriers in the search for the perfect tool. Now you can read reviews from others craftsmen about their favourite model. There are a wide variety of suppliers to choose from. Tools from all major manufacturers are available. This is the golden age of tools, and we’re all lucky to have access to so many. Tools aren’t like some products. There’s almost no one who will buy just one tool and never return. Tool lovers collect tools. They have different tools that do almost the same thing. Since most tools last so long, it’s not surprising that people want to get their hands on new ones. Even the best tool could eventually get boring to use. As humans we seek new experiences. It’s fun to contrast how fast we can get the job done with a new tool. Power tools keep on getting stronger. Hand tools become more stylish. Even old school tools like a hammer can offer an array of features. The typical evolution of tools from toolmakers goes something like this. First you have a hammer. Then you have a drill. You combine them into a hammer drill. Next you add a motor and now you have a cordless hammer drill! Hybrid or combo tools take the best of both worlds from common tools and combine them into interesting new tools. Tools are sold based on how useful and long-lasting they are. It’s common for a tool to carry a limited lifetime warranty. You may be tempted to buy cheap tools online. Avoid the temptation. There’s nothing more frustrating than having your tool break when you’re in the middle of a huge job. It’s frustrating to have to drop what you’re doing to head out to find a replacement. Most of the cheaper tools do not have great warranties. It’s usually worth paying the premium for a better tool, especially it’s one you plan on using a lot. Tools like hammers and wrenches generally last forever. Power tools are a different beast because of their electric parts. Much of the wear and tear on a tool cannot be avoided. Tools are a great investment. If you’re handy with your tools you can always pick up some extra money doing work for others. Skilled work is always in demand. If you have the right equipment and the time you can easily do jobs for others. If repairing and building things is just your hobby, you should still get the best tools. Since you don’t use them that often they’ll last forever. You can put your collection together slowly over time. You don’t need every fancy item day one. If you take good care of your tools and keep your collection organised, you’ll end up having a toolbox that makes you the envy of the neighbourhood. The first thing you should consider is how long you will need your storage for. If the timeframe is limited, then you will not need to worry about it too much. You will likely need a smaller amount of space as well, so you should inform the storage company about it by letting their representatives know so they can find something suitable for your needs. You would also do well to downsize your whole home and what it has before you decide to store things in your brand new storage area. Selling and disposing of these items will let you deal with them and it will require less space in the end. This will in turn make storage cheaper as well, so consider it before you move on. Next on the list will be the space needed to store your items. If you dealt with the previous step, then you will likely have less to store. Larger spaces may seem like a good choice, but you will end up wasting a lot of space for no reason at all. You should decide the exact size of the storage unit you will need by talking to the storage company representatives and giving them as much information as you can. You will also need to be aware of the reason why you need the space you will be working with. If you plan on storing larger items such as furniture and more, then you will need to be aware of the need to keep them safe from moisture and more. A climate-controlled storage unit will be a good beginning, but you will also need to keep in mind that self-storage will allow you to store even more sensitive items in the right conditions. A mobile or stationary storage solution will get the job done, but in both cases you will need to cover the price for using it. The use of a mobile storage unit will let you use it near your home when you need it, but the price of using it will still be there and likely close to that of using a normal storage unit. This means you will need to pay attention to it so it will not have anything stolen from it. 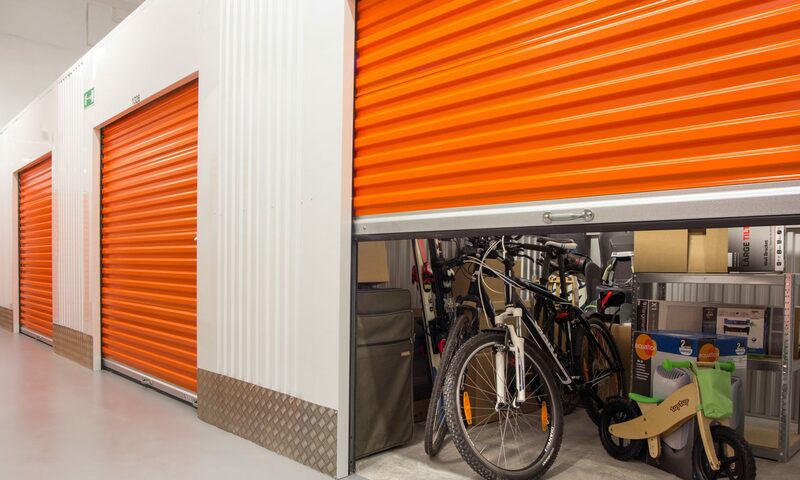 Traditional storage units are part of a set of facilities that have security covering them with a CCTV camera network and at least a night time guard, so you will compromise security for mobility. Check on both options and see what you can do to make your situation work out. You should also decide if you want to deal with the packing phase by yourself or to let the storage company do it instead. Storage companies are often linked to moving companies, so they will have professionals who know what they’re doing. Storage companies will also have insurance you can make use of, so consider that before you move forward with your plan. If you are running out of space in your home and you are met with constant difficulties trying to figure out where to put all of the stuff, perhaps you need to look for storage options. Storage facilities can provide all of the space you need and you wouldn’t have to worry about where to put all of your belongings. Boxes and packing materials – you will want to acquire good quality boxes and other packing materials. You will use those for general storing of items that are small enough. When you are planning on leaving things inside for a good number of days, you want to invest in boxes that will last. All respectable storage companies have climate control systems installed, but still it wouldn’t hurt to be prepared with good containers that will not fall apart. A wise idea would be to get boxes of the same size. That way you will be able to arrange them easily and conserve space, which is important in case there are a lot of boxes you need to store. Label – if you want to truly be efficient in taking stuff out of your storage room and bringing new ones in, you should make certain you label every box and container. This will enable you to easily find what you are looking for and save you a lot of effort when you are searching for something specific. Additionally, you will be able to navigate better in the unit. Furniture – if you are going to store furniture, there are several things you have to keep in mind. Some pieces are extremely bulky and will take up a lot of storage space. Be creative about this and think of ways to go around the problem. For example, you can fit chairs one over the other, and use the space over and under beds and tables to store boxes. Usually it is best to just disassemble the furniture before putting in storage. Floor – it is best to keeps items in storage off the floor. Storage units can be cold and dry during certain seasons, especially if there are no climate controlled systems in place. Get the boxes, furniture or whatever it is you are storing off the ground on pallets or protective sheeting. Valuables – if you are going to store valuable items, such as expensive electronics or other equipment, it is generally a good idea to keep all of that in the far back of the room. It is a simple move that can save you a lot of worries in the unlikely event of unwanted entry in your storage unit. These outlined suggestions are all aimed at making the storage of your items easier. If you follow all of them, your storage will prove to be much more effective. If you want to put items in storage, you should always be mindful of how you prepare them and how you store them. There are always dangers that you should be aware of and do everything you can in order to safely store your belongings. The last thing you want to find is damage beyond repair done to any of your belongings. This piece of advice holds true for electronic devices, as they are extremely vulnerable. You cannot just place them in a storage unit and expect them to be fine. They contain circuit boards, metals and wiring, all components that are extremely vulnerable to improper storage. Keep this in mind, as some electronic devices are very expensive and you most certainly don’t want to see them damaged. Know how to properly store such devices if you don’t want to see them damaged. Always store electronics in boxes – you probably already this, as everyone who has ever considered storage knows how important boxes and other containers are. This is true for electronic devices as well. Boxes provide the first layer of protection that electronic devices need in order to function properly after you take them out of the storage room. Acquire boxes that are the right size; it is best if you can use the original boxes you bought them in. Consider wrapping materials – electronic devices are best stored wrapped in certain materials. That said, acquiring some bubble-wrap and foam padding goes a long way. This is especially true if you store other stuff in your storage room and there is a lot of movement inside as you take stuff out or bring more in. Accidents do happen, and for this reason you should take extra per-cautions by making sure your electronic devices are well protected inside their boxes. Wrapping materials serve two purposes: they protect electronic devices from the environment and from physical harm. Silica gel desiccant – this is something you should certainly consider when you want to keep your electronics safe in storage. This is an excellent material for taking care of extra moisture that can harm your devices. Look for climate control – electronic devices are best stored in room temperature 50-70 degrees F. The best way to assure this is the case is to hire a storage company that utilities climate control systems. That way you will know the temperature inside your storage is perfect and will not cause any harm to your electronics. Carefully label and position your boxes – electronic devices should always be stored in upright position, never on their side. For this reason be careful as you arrange them in the room. Label them in such way that will indicate there is an electronic device inside and that it should not be turned upside-down. Store electronics in the back – this is important in the unlikely event of a storage break-in. Experts all agree that the farther away from the door your valuable items are located, the more protected they are. Additionally, this advice holds value when you regularly visit your storage and move around the entrance a lot. In order to safely store your electronics, you should consider all of the outlined tips. That way you will know your devices will not suffer from the environment inside the unit and that you will find them working properly when you take them out. The door that we choose to place in the entryway of our abode speaks volumes about the home and the people inside. It’s the first thing that people notice about the home, and it can deliver a lasting impression. Picking the perfect front door is no easy feat with manufacturers churning out multiple designs in a variety of materials. To help you narrow down your choices, these are the three considerations you should make before settling on “the one” for your home. First and foremost, the front door of you home should serve as a barrier against any potential threats. This means that the door you choose should be sturdy, well designed, and well fitted. Whenever possible, try to find doors that have received “Secured by Design” designation. These products have withstood a variety of tests, which have challenged the doors’ strength, durability, and ability to keep intruders out. Each material has its own set of pros and cons. Some may require more maintenance while others may not offer the same level of protection. Fortunately, the renowned window and door gurus at Kloeber are always happy to answer your questions about door security though there are numerous other resources available. For some, having a sky blue front door can work. For most homes, this would be a disaster. First, begin by considering the architectural design of your home. Is it traditional? Whimsical? Is it ultra contemporary and modern? Having a lux wooden door would likely be lovely on a more traditional home, but it can be confusing on a home that has a modern design. Colour is another important consideration, though fortunately the colour of the door you choose can be changed at will. If you’re completely lost for colour ideas, consider having a complimentary colour palette of your home made by a home decorator, or make your own with the many tools online. This will help you brainstorm the right colour for your front door. The manufacturer that you choose can play a huge role on how satisfied you’ll be with your front door. First, choose one that is reputable and is well known for providing top quality doors. Next, if you’re purchasing an entire entry system, stick with the same manufacturer if at all possible. If all of the components come from the same company, you’ll know that everything will fit together seamlessly and give you the best protection and insulation. The final consideration is window glazing. While front doors traditionally would be solid, technology has allows for glass to be reinforced through glazing, meaning it’s significantly more difficult to break through. If you’re considering windows in you front door, choose a manufacturer that doesn’t just offer glazing, but that offers double or even triple glazing for superior security. Having pests in your workplace can be more than a nuisance. Depending on the pests that you have, they can trigger allergies in employees and cause a rise in absenteeism. In addition, depending on what type of business you have, pests can scare off customers, which can affect your profit margin. To help prevent pests in your workplace, here are six tips you can utilize. Whether you have a food business or private offices, you need to keep busy areas clean. Break rooms, public eating areas and anywhere food crumbs or trash accumulates need to be kept clean. To help with this, either assign cleaning duties to employees or hire a cleaning service to come in every night. Whether you have an office party or sell food to the public, cover food and put it away in either a cabinet or refrigerator. In addition, wipe up all of the crumbs on the tables and floor and throw them away. Pests are looking for food, and if you make it accessible to them, they will stay and end up breeding near their food source. Use trash bins with lids in break-rooms or other areas where there is food. An open trash bin is a great food source for bugs and other creatures. Covering the garbage will help deter them and they will have to find another food source. To keep pests on the outside, seal any cracks, crevices and small spaces where insects, rodents and other pests could crawl into your building. Caulk around water pipes or utilities that enter the building. Also, if there is a water leak, have a repairman fix it. Bugs will gravitate to the water source so they can get a drink and find ways to enter the building. Make sure there is no debris in your gutters, especially leaves or other organic materials where pests will end up nesting. Install water diverters to help keep water away from the building. Where there is water, there will be pests. Have professional pest control Brisbane inspect your property for the presence of insects and rodents. They can identify any pest problems you may have, recommend solutions and safely treat your building. Schedule them to come in and treat your building on a regular basis to help keep pests away. These tips will help you control and prevent pest infestations in the workplace and help you provide a clean, safe environment for your employees and/or customers. These tips are also easy to do and they only take a few moments of time. Controlling a pest problem is easier to do then trying to stamp out an infestation and it is less expensive as well. Keeping pests away helps to provide a healthier workplace for everyone in the building.